Cranes of any type, are the most efficient aid when it comes to meeting any lifting requirement. 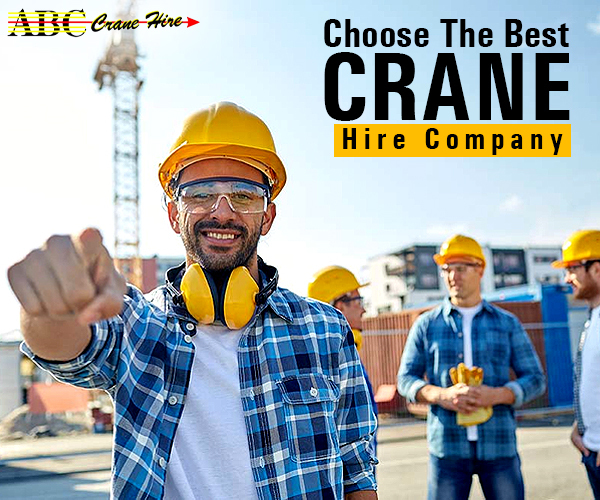 Mostly designed to lift heavy weight objects, cranes are considered to be simple machines with various attachments like wire ropes, drums, chains and a telescopic boom on the platform. 1. Powerful in terms of strength- Do not underestimate the power of a mobile crane! 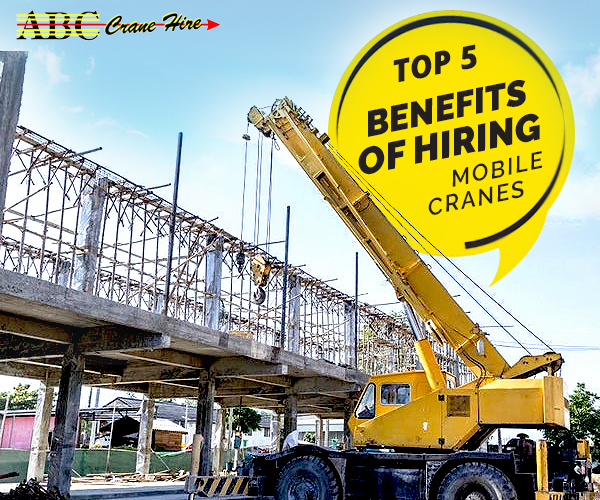 Although they might be smaller in size than many of the other types of crane, mobile cranes will definitely win the battle when it comes to lifting heavy objects, not one but more than that. This type of crane has the ability to perform multitasking since it can lift more than one heavy object, at the same time. You may be wondering how can such a small crane lift so many heavy objects at one go? Simply because of its improved hydraulic power and multiple axles that help it to lift heavy objects to such great heights. Thus, if you doubt the strength of a mobile crane, clear it out from this very moment because size doesn’t matter always! 2. Requires less space- From the word ‘mobile’, it is understood easily that this crane is smaller in size and so can fit into smaller spaces compare to other crane types. On the other hand, it is a difficult task for the larger cranes to get in a cramped up space and perform the lifting job. It is like wearing childhood clothes that no longer fit you! Mobile cranes can easily move in between two buildings, do the job and come out conveniently without much struggle. Grant a small working space and a mobile crane will never disappoint you! 3. Sets up quickly- Since a mobile crane requires less space to function, it also requires less time for setting up. The time needed to set up a mobile crane in a construction site is very brief unlike other cranes like a tower crane. As a result, this crane needs lesser space to stabilize and also helps you to finish your work quickly. 4. Ensures safety- The more mobile and flexible a crane is, the safer it is to use. And this is especially true for a mobile crane. It can easily access a congested site with narrow space and carry heavy objects with ease. Thereby it ensures the safety of the workers on the site and also meets your expectations. 5. An advantage to the construction sites- For any crane hire agency, having a fleet of the latest mobile crane is a must. Not only it provides high flexibility but also can lift heavy weights with ease because of its sturdiness and power. In addition, mobile cranes also reduce pollution rates, is radio controllable and emits less noise. 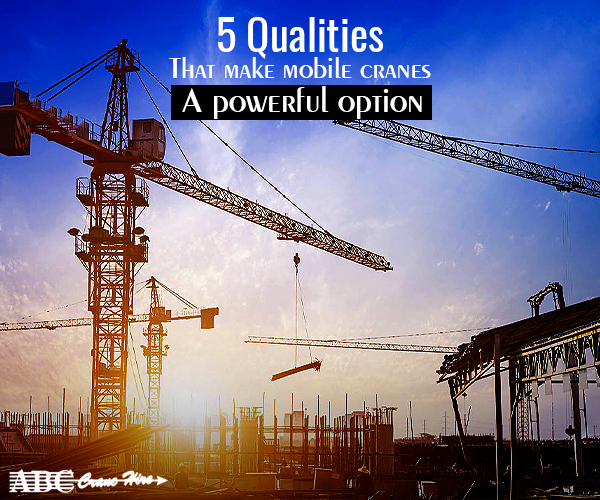 If you want maximum mobile features in a crane, using a mobile crane is your perfect search as it can easily move sideways in a restricted area. Conclusion- With a mobile crane, you can easily make the impossible possible on a construction site. 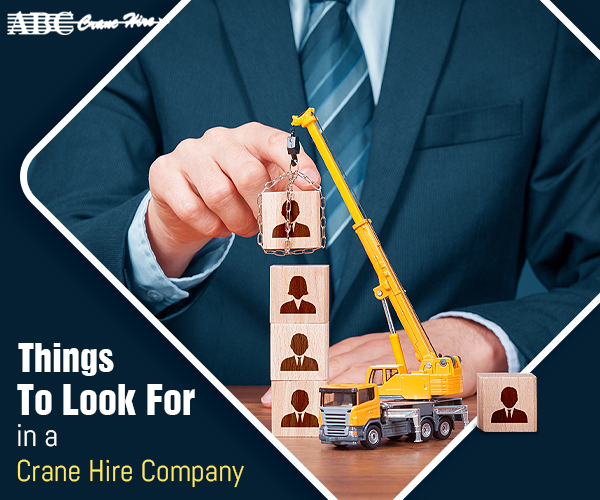 Thus if you want a crane that will function properly in a small space, hiring a mobile crane is the best option for you!